The high performance and exceptional properties of zirconia have resulted in a demand for its use in full contour zirconia restorations such as full contour zirconia crowns and bridges. 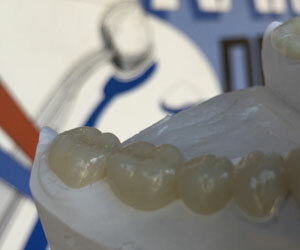 Its primary use is posterior crowns and crowns over implants, but may also be used for full-arch bridges up to 14 units. 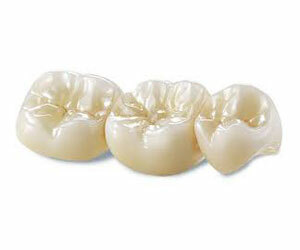 Full contour zirconia restorations are known to be gentler to opposing enamel surfaces than conventional PFM’s. Its high flexural strength and excellent wear compatibility make full contour zirconia an ideal material for dental restorations, including full contour zirconia crowns and bridges. 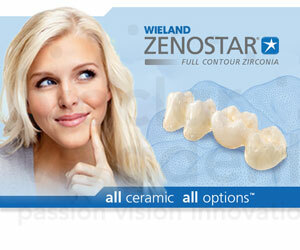 Our full contour zirconia crowns look and feel like natural teeth. With our ability to fabricate full contour zirconia restorations that are highly esthetic, including full contour zirconia crowns and bridges, demand is on the rise. Full contour zirconia has provided our dental professionals clientele with a durable, esthetic alternative to traditional PFM.